I was all prepared to write today about my online hoarding issues but after a quick (or maybe long) look on Facebook I found out some devastating news. One of my absolutely favorite and most influential history professor's from undergrad has passed away. 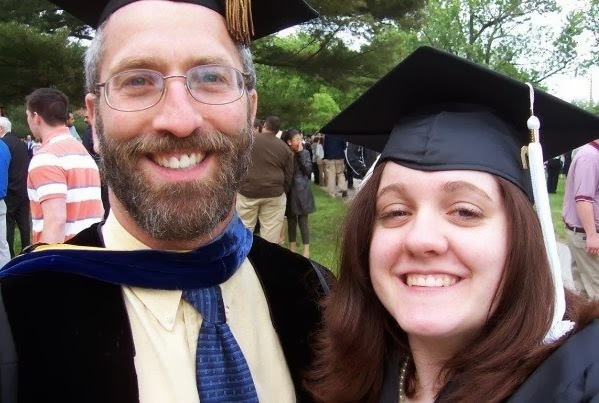 I started out my college years taking Core (an intro class that covered tons of different types of subjects was like a massive gen ed type course) with him because that's what my brother had done and it was one of his favorites. I didn't end up taking an actual history course with him until junior year but Prof. Bloom was always there when I popped in to say hi or stopped him on campus to chat. He was just one of those professors who cares about students ... whether they were his or not! VU has lost someone incredibly special and amazing. You mean so much to so many people and I hope that influence will resonate for a long time even though you're not here anymore. I will miss you so much Prof. Bloom. I'm so sorry for your school's loss!